"﻿﻿﻿﻿﻿﻿﻿﻿﻿﻿﻿Very few Parisians actually read Le Monde. Yet, all agree that le Monde, c'est un bon journal. Yes, Parisians do have opinions about things they are not familiar with. How do you think a French guy decides what he’ll be talking about during social events? He reads the news and more or less repeats what he’s read, perhaps hoping to sound knowledgeable and aware of the latest trends. Following a conversation during lunch break or a house party should be much more easy once you’re up to date on the most popular French topics of discussion and you’re used to reading about them in French. Above all you’ll avoid the most common mistake an expat can make which is to use extremely formal language just because he’s used to reading an academic newspaper such as Le Monde. Referring to the quote at the top of this post, if someone tells you they read le Monde and you should too, then he’s probably trying to impress you because most people prefer reading the news on Facebook. 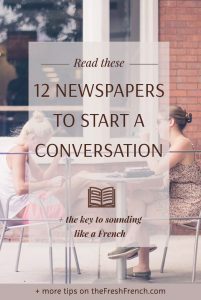 This said, I decided to give you once and for all the ultimate list of French newspapers so you won’t ever need to look for this kind of reading material. 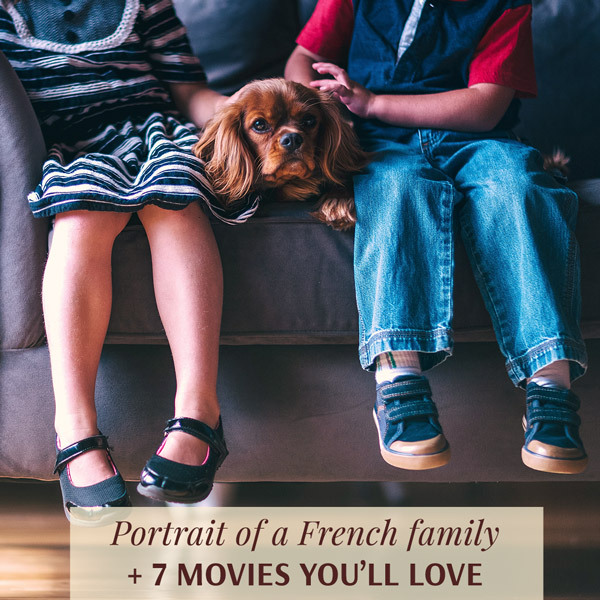 If you can’t find the topics that you really care about, then there’s a good chance they will be in my special ﻿list of fun and inspiring French blogs﻿.​ If not, let me know in the comments or in an email and I'll help you out! Which ﻿English ﻿newspapers can I read in French? 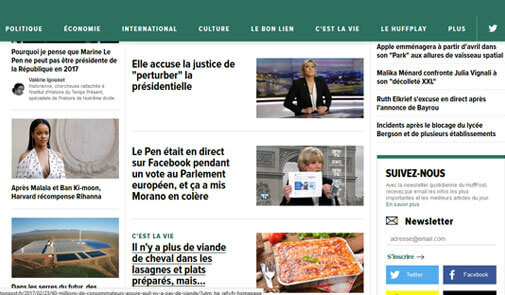 Only one big newspaper I know of is available in French : ﻿﻿﻿﻿﻿l﻿﻿﻿e Huffington Pos﻿﻿﻿t﻿﻿﻿ has plenty of articles written in simple or informal French, but you won’t find any translations of English articles. 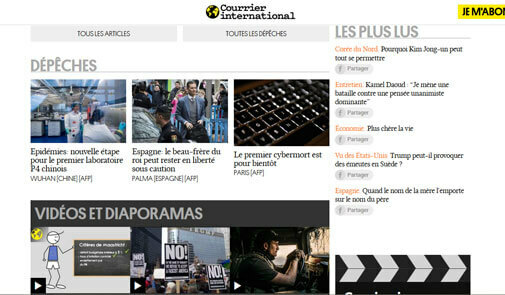 If you’re looking for that, he﻿﻿ad to ﻿﻿﻿﻿﻿﻿﻿﻿le Courrier in﻿﻿terna﻿﻿﻿tiona﻿﻿﻿﻿l﻿﻿ ﻿﻿﻿which features translations of publications from everywhere around the world. ﻿﻿What ﻿are ﻿the political inclinations of le Monde, le Figaro and other big newspapers? Here’s an overview for you based on what they wrote in their About section, do be warned that terms such as left or right-wing naturally depend on the country you come from. ﻿What﻿’s the French equivalent of the XYZ newspaper I love to read? This is an overview purely based on what I believe is similar, so please forgive me if you don’t think they’re ressemblant enough. 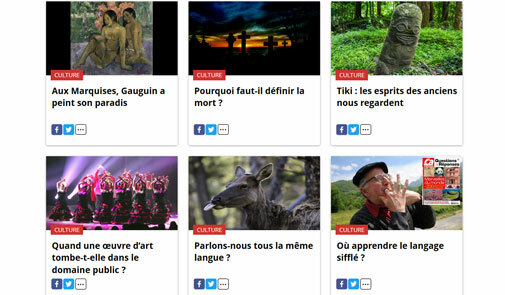 ﻿What﻿’s the easiest to read between le Monde and le Figaro? There’s no doubt that le Monde is a newspaper made for academics, thus making it difficult to read for non-natives. Le Figaro is much more easy to read though it would not be my first choice for someone who’s just starting with French reading. 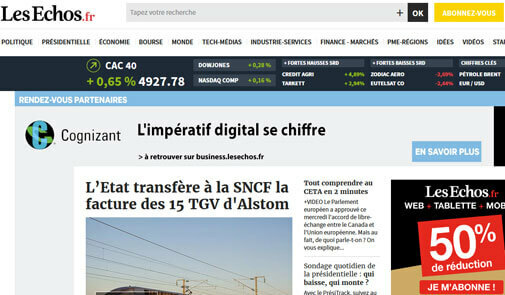 Are all ﻿French ﻿newspapers free to read online? Actually, most newspapers that are updated on an hourly basis require you to subscribe for a (very reasonable) fee, for about 15€ per month. Libération and Les Echos give you access to 5-8 articles per month, while Le Monde and Le Figaro limit your access to certain articles. That’s why I advise using the list below as I made sure to give you magazines and newspapers that are free of charge without losing the quality of information. Is ﻿there ﻿a way around the limit of articles you can read? Sneaky you, well yes there actually is. Simply open a private window in your browser and that usually does the trick. 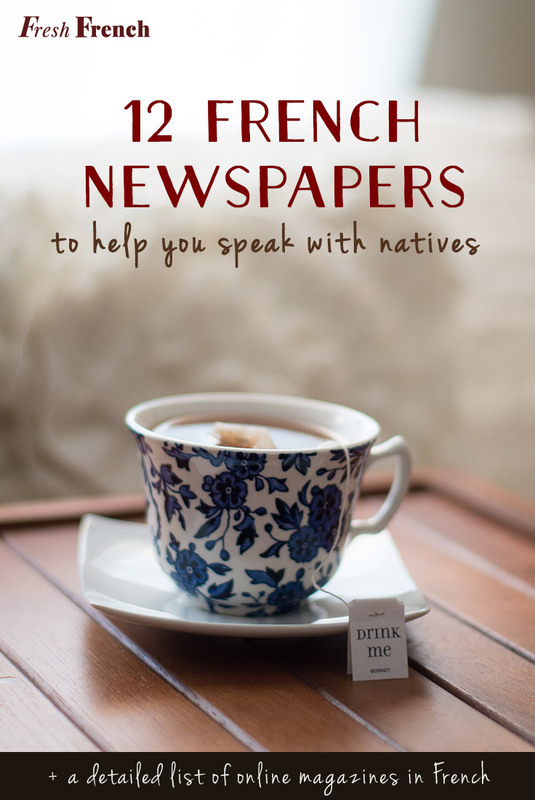 Which newspaper would you advise for simple French? If you’re intermediate in French, check the Huffington Post for easy daily reads. Which newspaper would you recommend for someone who doesn’t like to read? 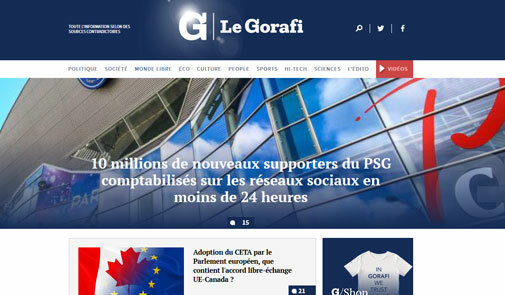 I would recommend reading a newspaper that’s more fun than serious, such as ﻿﻿﻿le Gorafi﻿﻿﻿. ​Read if : you're looking for an alternative source of news and have a wide range of interests. 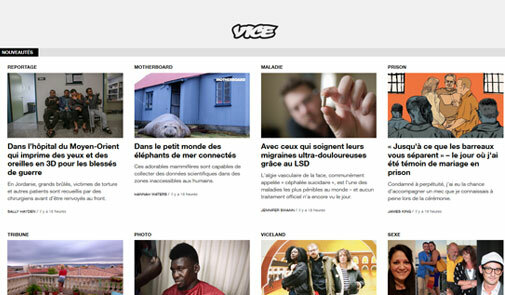 Why it's great : Slate is a popular American online magazine which recently got its own French version. You'll find translated articles from the original Slate, contributors' pieces and even a whole series of podcasts. The content is appealing and extensive, with both short and long articles. A must-read for any intermediate or advanced French student! ​Read if : you want to read about many topics easily. ​Read if : you're curious about what's going on around the world and you like to get your news right from the source. ​Recommended article : ﻿﻿﻿﻿﻿﻿Quiz: Qui l'a dit, Trump ou Le Pen? Why it's great : Besides writing their own articles, this newspaper follows the great concept of sharing pieces from international newspapers. This week for example you'll find translated posts from Liban, Thailand and Spain. An extremely interesting and open-minded section is "L'élection française vue par la presse étrangère". You can also search for news by country and have a bit of educated fun by doing a quiz based on recent news. Why it's great : This is not a magazine for everyone to read, I actually had a small hesitation before putting it on this list but I believe in a non-censured world so here you go. The articles you'll find in Vice are often disturbing though interesting, either because of the topic or the angle chosen to describe a certain evolution of society. Read at your own risk! Why it's great : If you know the funny American newspaper the Onion, then there's a change you'll enjoy le Gorafi (anagram of "Figaro"). Expect a sarcastic tone, loads of false information and it'll probably make you laugh. There's even a Madame Gorafi section! ​Read if : A. you're a woman who doesn't mind reading about topics considered "taboo"
B. you want to learn the French that people use exclusively with friends and family. 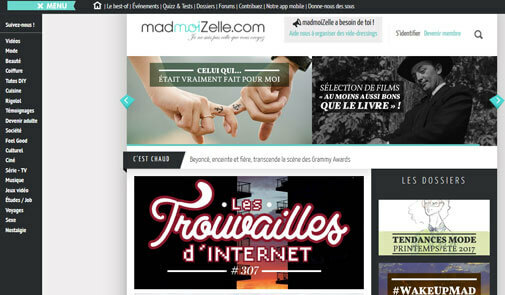 Why it's great : Madmoizelle is the most diverse and fun French magazine you'll find online. You'll find literally any topic, from light news to serious debates. Expect DIY videos, recipes, tv series, trendy objects, beauty and much more. 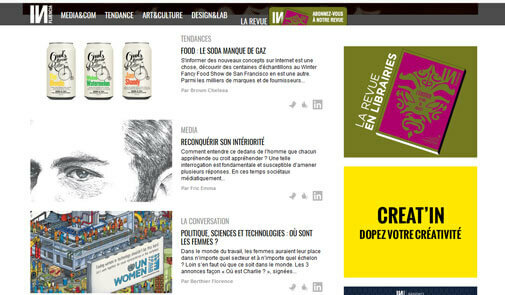 Make sure to check the weekly "Trouvailles d'internet" to start your week on a bright note. Why it's great : French people love going to the movies, actually lots of them have a subscription to their local theater instead of Netflix. 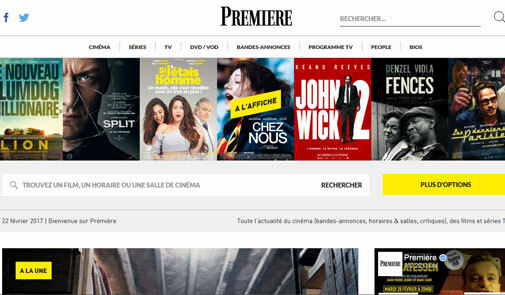 Premiere is a magazine that will tell you everything you need to know about the latest movies and series, including short reviews and anecdotes on celebrities. Ideal for people who want to start reading French. Why it's great : Influencia is a gold mine for anyone young and curious. Among others, it includes the events you shouldn't miss, a section called "Data Trends" and lots of articles related to the art and ethics of marketing. Why it's great : Les Echos is a must-read if you're in the field of finances or an entrepreneur. No one will argue that the language used here is complex, even for a native speaker. You won't want to miss this challenge if you want to fit in a French society where knowledge is power. Make sure you read the column "Les vrais-faux" where politician's quotes are thoroughly discussed. Why it's great : Challenges goes above and beyond to make economics and business interesting for a bigger public. You'll find loads of graphics, or you could read about high-tech and cars when you're tired of statistics. If you're looking for help with your studies or job applications in France, you'll find the section "Emploi" and the top lists of French faculties really helpful. ​Read if : you're interested in articles about high-tech developments that go a little deeper than "Look at this brilliant phone with crystal-clear video and 1 tb of memory!!" 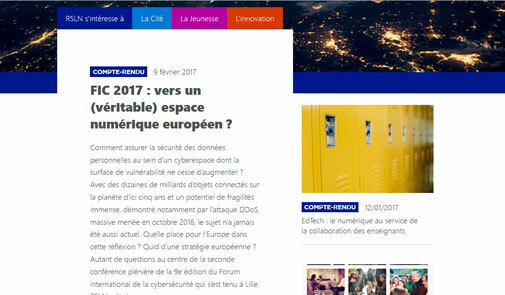 Why it's great : RSLN Mag consists of a mixture of short articles featuring high-tech in a column called "Vu sur le web" and deeper posts on the consequences of technology for today's society. Check out "Histoire du web" if you want to find out the origins of emojis, why "Hello, world!" was chosen in programming, and more. ​Read if : A . you have a curious mind and like to start a conversation with "Did you know that...?" Why it's great : This magazine is just like a tear-off calendar, with miscellaneous questions answered and explained with the help of academics. 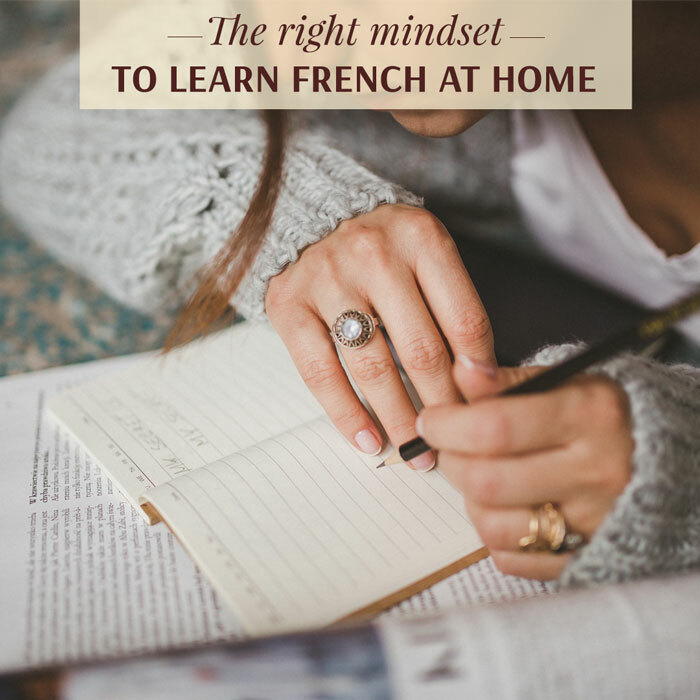 The articles are generally less than a minute read and can give you an interesting perspective of the French desire for more knowledge. ​Recommended article : D'où vient la semaine de sept jours? Before you leave this post to go on a fabulous reading binge, here are a few more tips on how to create a routine from newspaper reading. Tip 1. Replacing one habit for another similar one is usually an easy switch. If you’re used to browsing through an online magazine in the subway to work or during breakfast, try reading French newspapers instead. Tip 2. Today I’d like to encourage you to read the same newspapers and magazines as your French surrounding does. To do this, when you’re in a conversation or you’re following a group conversation between French natives, make a mental notes of the topics that are the most popular in your discussions. 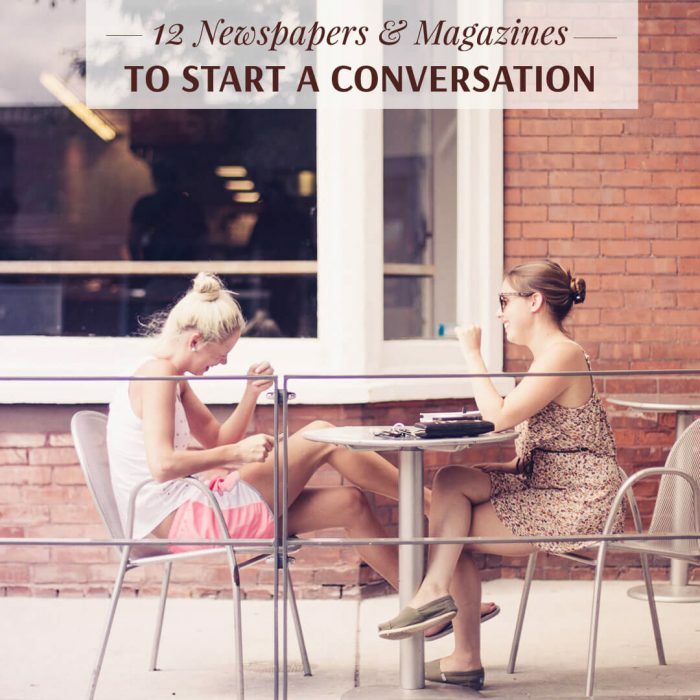 Then check the categories of this list and pick 2 newspapers that will help you contribute to future conversations. ​This depends on who you hang out with so I can’t make a list for you here, but some of the categories I chose above should match with your list. If not, let me know or check out this ﻿list of f﻿resh﻿ inspiring French bloggers﻿.